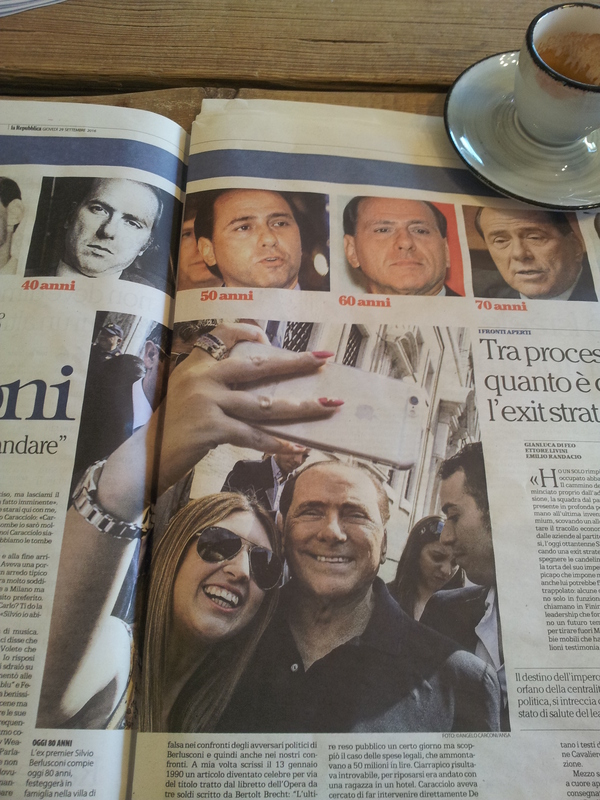 Now the big news last week was the 80th birthday celebration of the charismatic ex-politician Silvio Berlusconi. He spent the day with his thirty-one year old partner (gosh she’s getting on a bit) Francesca Pascale and his family, in his mansion near Milan. He was quoted as having announced that his political career is effectively over and “I will dedicate more time to the people I love and that is the way it should be: five children and ten grandchildren have turned me into a patriarch” he said at an interview on the big day. Ah bless his silk socks. But if this means his retiring from the world of politics completely, then things will be far less colourful in that arena. I read that two out of three members want him back as the leader of Forza Italia; watch this space! The Moose in the big oak tree guarding our gate. Back in our beautiful bit of Chianti countryside, we have taken to popping outside the front door with a couple of chairs for an aperitivo before lunch, because there is some shade there at that time of day. 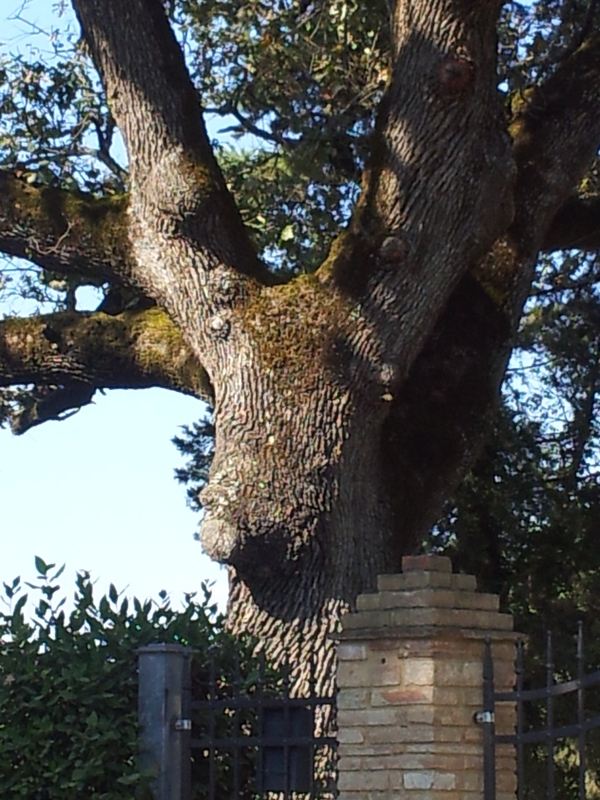 You will remember that our current home is guarded at the front gate by a huge ancient oak tree (querceto) and last weekend I had the strangest feeling that I was being stared at. I looked at the tree and it had suddenly taken on the face of a moose! Yes, I know I was on the second glass of wine, but here is the proof! If you cannot see what I can see then perhaps I should make an appointment to go and see my lovely doctor Flavio. Please tell me you can see it’s face…. To buy or not to buy these orange Gucci shoes that match my current handbag! 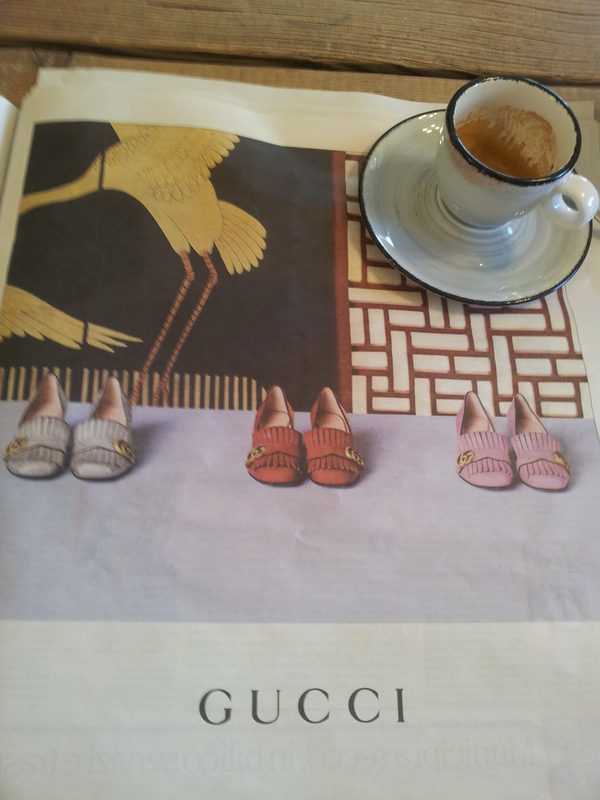 Anyway, to change the subject and taking you back to La Dispensa caffee bar in Fiano, I was reading the paper over my morning coffee and saw these beautiful Gucci shoes advertised. The orange pair in the middle exactly matches my current handbag. What do you think? 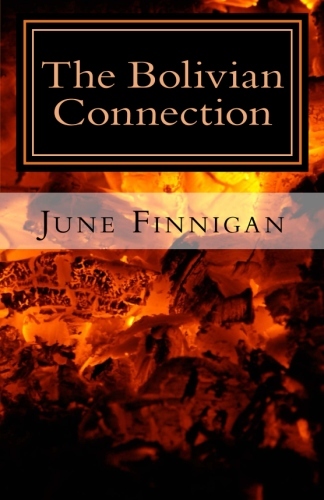 Would it be over indulgent on my part, to buy these on-line? 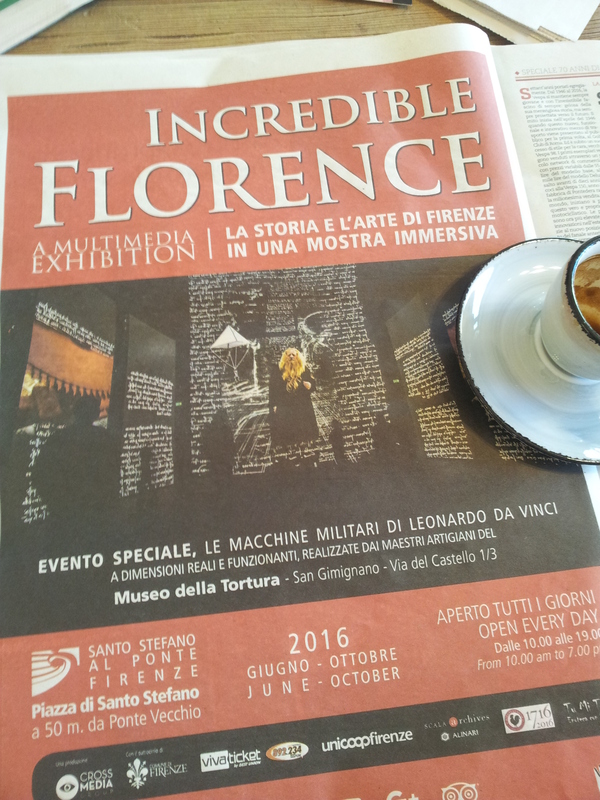 Also in the paper I read that this is the last month to view Leonardo Da Vinci’s exhibition of ‘Le Macchine Militaria’ (I don’t think this needs translating) at the Museum of Torture in San Gimignano. Apparently, it’s a ‘multi-media exhibition’ whatever that is! Should I go and see it? I’m not sure and I have heard that a lot of the exhibits are pretty gruesome. By the way, we have house guests for a few days and whilst I continue to work and write it’s good to have some girlie time, with my sister-in-law who accompanied a lovely friend of mine from England. Today we went out to lunch at Borgo Antico in Tavernelle http://www.borgoanticorestaurant.com after I tried in vain to buy a new travel case in the high street and found most of the shops closed; I had forgotten it was Monday. So I ended up buying a new bedside lamp in the electrical shop, and have no idea how I can stuff all my things into it when I go to England next week! 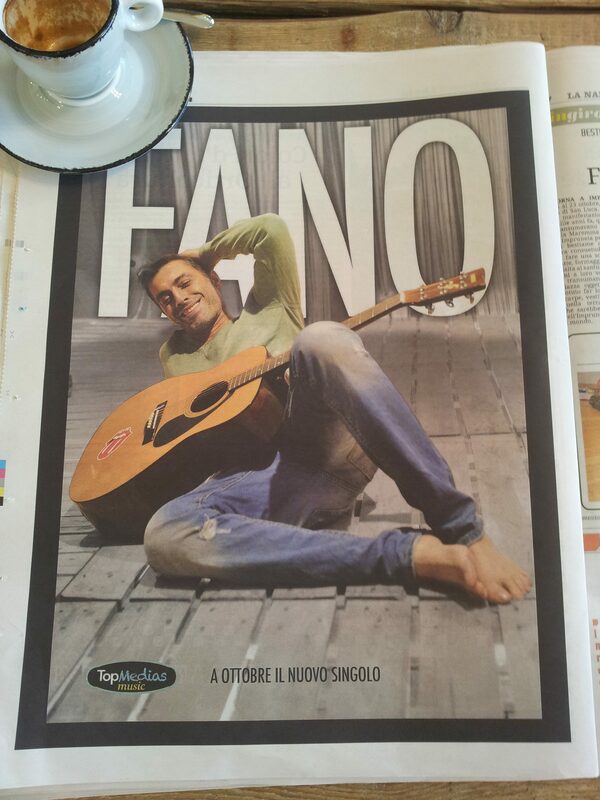 But you don’t want to know about that, I’m sure you would rather drool over my Hunk of the Month, an Italian musician called Fano! 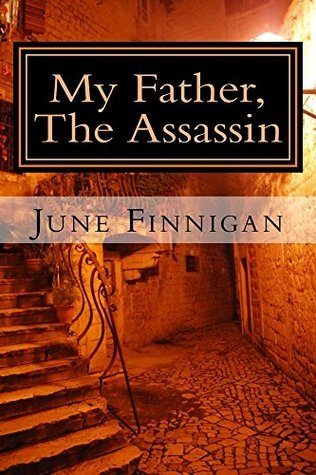 Well, enough of that nonsense, must get back to the real world and get this blog off to you.